Biswajit – The Winner of World, originally uploaded by Debiprasad. One of my dreams is to be a good photographer. 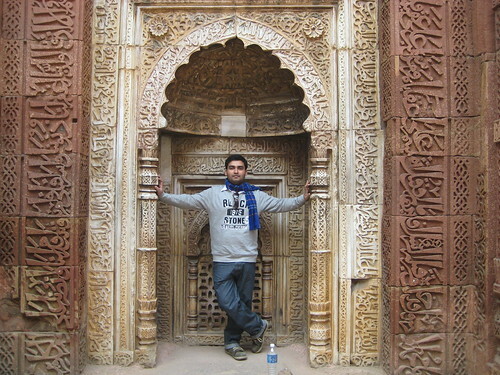 This is the photo I had taken when I was in Delhi – Noida, last year (2008, Dec 25 – 31). This is the one of the Best photos taken at Delhi and my life. Biswajit is also looks as a super model. However, to become a super model comes under one of his dream. This photo fulfills some of our dreams together. Had a nice time there in Delhi – Noida, however it was too cold and I could not get more time to visit many places, most of the time went on bed, sleeping under layers of bedsheets, blankets and sweaters. Miss you, Bisu.